Android phones are widely used smartphones and provide amazing features at cheap price. Android OS is based on Linux and also hardware independent. Almost every person is now using smartphones because of these feature like Internet, Games and Apps for various purposes. From all the aspects Android OS has become the giant in the marketplace. Google Play store having billions of apps for different purpose including paid and freeware. We have already written about download paid android apps for free. As we download multiple apps and able to store huge amount of important data in Android devices. But the main point about which we worries always is protection of data from lost. So we have to keep back up of our phone data and Apps data. Even Android phones do automatic backup of phones data but it is always good to have double backup of your data. In case we may be not able to access from actual source then it will better if we have secondary option. So today we are going to discuss about some best backup apps for android. Which allow us to backup our android data and so we can easily restore it later whenever we want. List Of Best Backup Apps For Android. 3. Super Backup : SMS & Contacts. 4. Helium – App Sync and Backup. 5. Go Backup and Restore Pro. 8. App Backup and Restore. 9. Easy Backup And Restore. 10. 100GB Free Backup Cloud Degoo. This Apps is designed for users that are familiar with Android Phones. It requires the Android phone to be rooted to take its backup. It’s paid version available in $5.91. You can schedule Apps backup in free version. It allow you to backup your data in SD card, cloud backup and in PC. It also detect changes in phone data and warn you to take backup again. 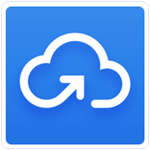 G Cloud is another popular in all backup apps for android. It is free available to download on Google Play store.This app allow you to store 1 GB data backup and increase your storage space if you invite your friends to use G Cloud Backup. G Cloud Backup allow you to backup your phone data, calender, music and app data on Amazon’s AWS cloud. This App provide additional data security with 256 bit AES encryption. 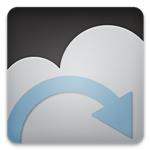 Superback up is another popular in all backup apps for android to take backup of sms and contacts. It allow you to take backup of your phone data, apps, contacts, call logs, etc. It also provides auto backup features when we install a new Apps on our phone. Super Backup allows you to schedule backup of Call logs, contacts, SMS and store it on your G-Mail account. Helium App is one of the best Android app to backup and restore phones data and application files. It allows you to take backup on SD card, Computer and cloud backup and allow user to access information in easy way. The App does not require you to root your device. It allow you to sync data to another android device. It has free and paid version in $4.99 for Android to Android sync and for cloud download. 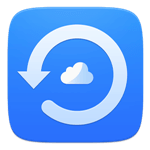 Go Backup and restore pro is another best option for backup and restore Android phones. It allow you to backup your contacts, Apps, Call Logs, Bookmarks, User dictionary for free but it does not allow you to backup your SMS and MMS in free version. Its paid version is available in 4$ approx. It also detect the changes in phone data and warn you to backup again. Easy App Toolbox is another Android backup App which is freely available on Google Play store to download. Like the name of Apps, this Apps provide many little simple tool to backup data. The App does not require you to root your device. It allow you to take cloud Backup, Backup on SD card. If you look for something simple with additional features like send Apps and batch uninstalls, this is a great option. 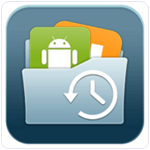 It is one of the most popular App in the list of Backup Apps for Android. It has a rating of 4.7 on Google Play store. We can easily backup our contacts, messages, call logs, Photos and browser bookmarks. 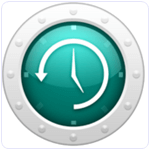 It also provide schedule backup feature everyday. It is a light weight Android app which do not require any root access. CM Backup provide SSL and AES 256 bit encryption security. Approximately 50 million user download this App. It is also a good App which fall in the list of Backup Apps for Android. We can easily backup our data to SD card and also take batch backup. It takes auto backup on install. We can also take multi version backup of an App. We can also send apk via email. It provide easy to use interface and attractive look. Approximately 50 million user download this App. It is another Good App in the list of Best Backup Apps for Android. We can easily backup our Apps, SMS, MMS, call logs, calendar, Dictionary etc. We can also restore our data from the SD card, Gmail, Dropbox, Onedrive etc. It also provide schedule backup. We can easily backup and restore app data which require root Access. Approximately 5 million user download this App. It is another best App in the list of Best Backup Apps for Android. We can rather easily backup our photos, documents, music and videos. It also provide 100 GB free cloud storage to all its users without any cost. This space is too large from the Google, Dropbox or other providers. It also provide data security by encrypting our data. It is a cross platform app which is available on Android, MAC, IOS etc. We can easily download our data on any device. Approximately 5 million user download this App. In conclusion, these few best Best Backup apps for Android which provides backup and restore functionality. If you know any of the best which is missing in this list, then please leave your comment we will update it as soon as possible.